You can purchase the 25-page unit for Black Elk's Vision, A Lakota Story, PLUS Bull's Eye by Sue Macy and Buffalo Nickel by Taylor Morrison. For immediate download, only $9.95! As a young Lakota boy, Black Elk was happy as he played, ran, and rode his pony. He did worry about the Wha-shi-choos who had started terrible battles against the Lakota people, but he did not really believe that they would come after him. Black Elk received special help that would prepare him for a life filled with sadness, violence, and injustice. That help came in the visions that he had, the visions that helped him make choices about how he would face the problems that were coming. When he was an adult, he was finally able to share those sacred visions with his people to give them courage and guidance, too. He became a respected medicine man who wrote about the struggles of Native Americans. 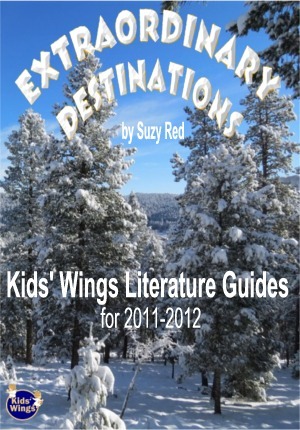 The Kids' Wings literature guide invites group discussion, research, and skill building. Teachers who want students to understand history through the eyes of one who was there will want make this intermediate-level picture book part of their classroom libraries. A 20-page unit perfect for lesson planning, handouts, or projection on your SmartBoard for Black Elk's Vision by S. D. Nelson is now available! Buy Black Elk's Vision NOW!